Thunderstik Lodge receives the first official Sisterhood Outdoors Seal of Approval. What does that mean for you as a lady hunter? 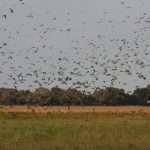 That means you can be sure you will be treated to the hunt of a lifetime with top-notch service. Our endorsement program is a rigorous vetting process for outfitters we feel support lady hunters. 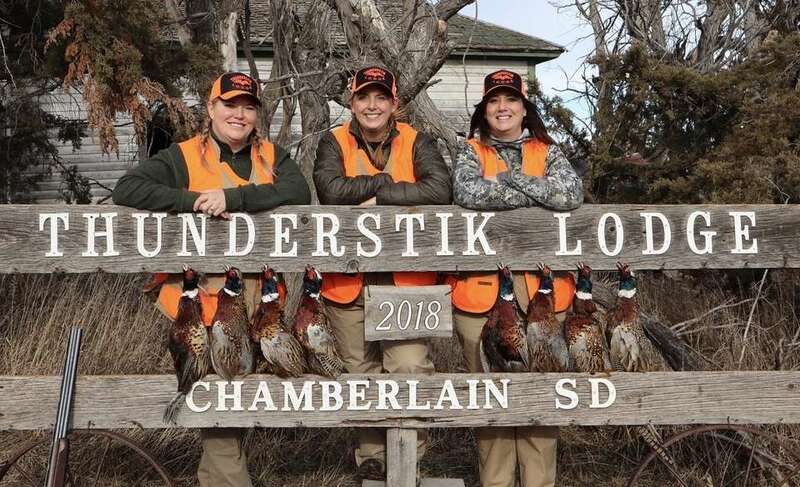 We recently visited Thunderstik Lodge in Chamberlain, South Dakota, to experience first-hand the facility, guides, food, lodging, hunting and shooting opportunities. Thunderstik Lodge is a short, 2-hour drive from the Sioux Falls airport. Upon arrival, we were greeted by the staff and introduced to our guide. One thing we look for in our program is personal service. 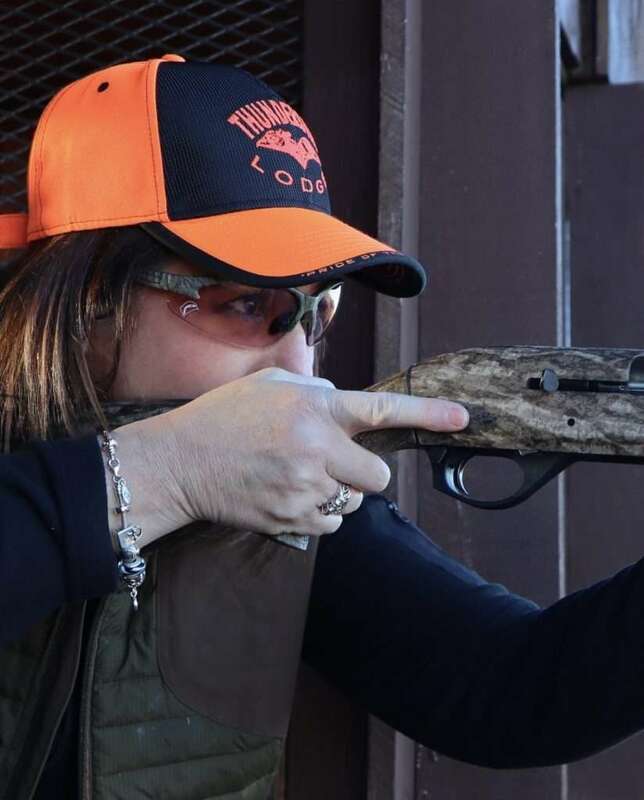 We want women hunters to feel comfortable from the moment they arrive, and Thunderstik Lodge did just that. Our guide immediately offered to take us to the Five Stand for some clay shooting before the sunset viewing at the main lodge. It was great to have a chance to warm up the shotguns before the next day’s hunt. The sunsets from the lodge are not to be missed. The lodge offers a full-service bar and restaurant with amazing food. Dinner is served as a plated meal in the dining room and your guide will accompany you to all your meals. It’s great to have that time to get to know your guide and ask questions. 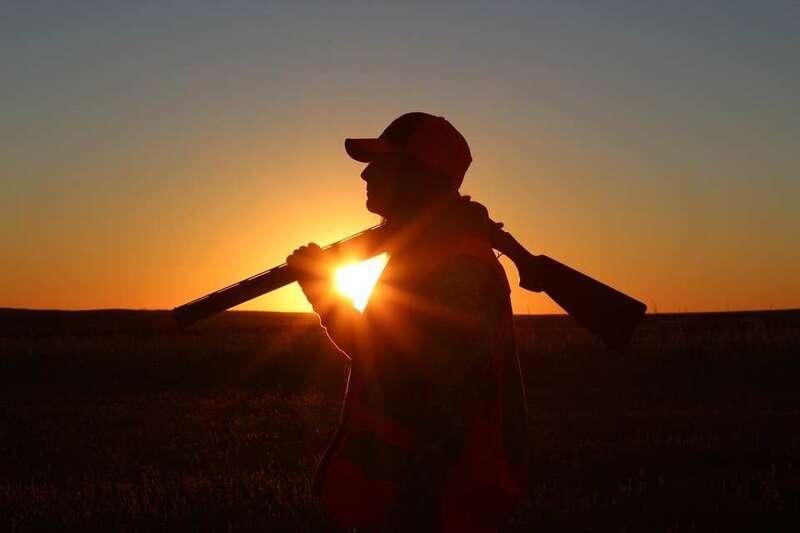 There is an atmosphere of support and personal service that makes it a great place for new hunters. 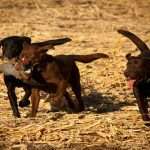 The hunting was worldclass, dogs were on point and pheasants were falling out of the sky. We hunted hard all day and took our limit back to the lodge. Birds are breasted out and frozen for the trip home and they help you with taxidermy services. 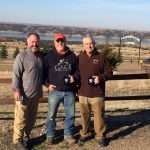 Thunderstik Lodge has way more to offer than just pheasant hunting; they are equipped with clay shooting, long range rifle shooting, pistol ranges and also offer walleye fishing trips. If there is an outdoor activity you would like to experience, they will do their best to make it happen. It’s not just a pheasant lodge, it’s an outdoor playground. The Sisterhood Seal Approval plaque will be hanging in the lodge. 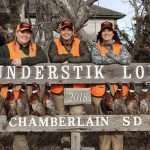 Look for it when you book your amazing South Dakota outdoor adventure with Thunderstik. And rest assured you will be taken seriously as a lady hunter.